Lance Armstrong of the USA riding for the US Postal Service team presented by Berry Floor in the final climb to La Mongie during Stage 12 of the Tour de France between Castelsarrasin and La Mongie on July 16, 2004 in La Mongie, France. Lance Armstrong violated his contract with the U.S. Postal Service and "unjustly enriched" himself by cheating to win Tour de France titles, the Justice Department argued in a lawsuit against the cyclist filed on Tuesday. The government announced in February it would join a federal whistle-blower lawsuit against Armstrong brought by the troubled athlete's former teammate Floyd Landis. Tuesday marked the deadline to file a formal complaint. "Riders on the USPS-sponsored team, including Armstrong, knowingly caused material violations of the sponsorship agreements by regularly and systematically employing banned substances and methods to enhance their performance," the complaint says. "Defendants were unjustly enriched to the extent of the payments and other benefits they received from the USPS, either directly or indirectly," the suit alleges. An Armstrong attorney called the lawsuit "opportunistic and insincere" and said the Postal Service made money off the cyclist. "The U.S. Postal Service benefited tremendously from its sponsorship of the cycling team...The USPS was never the victim of fraud. Lance Armstrong rode his heart out for the USPS team, and gave the brand tremendous exposure during the sponsorship years," Armstrong lawyer Elliot Peters said in a statement. From 1998 to 2004 the Postal Service paid about $40 million to sponsor the team for which Armstrong won six of his seven Tour victories. In that same period the USPS paid Armstrong $17 million, according to the filing. After years of publicly denying ever doping, Armstrong in January admitted to cheating while riding his way to victory on cycling's biggest stage. The complaint relies heavily on evidence provided by Landis, the initial winner of the 2006 Tour who was stripped of his title after testing positive for performance enhancing drugs. 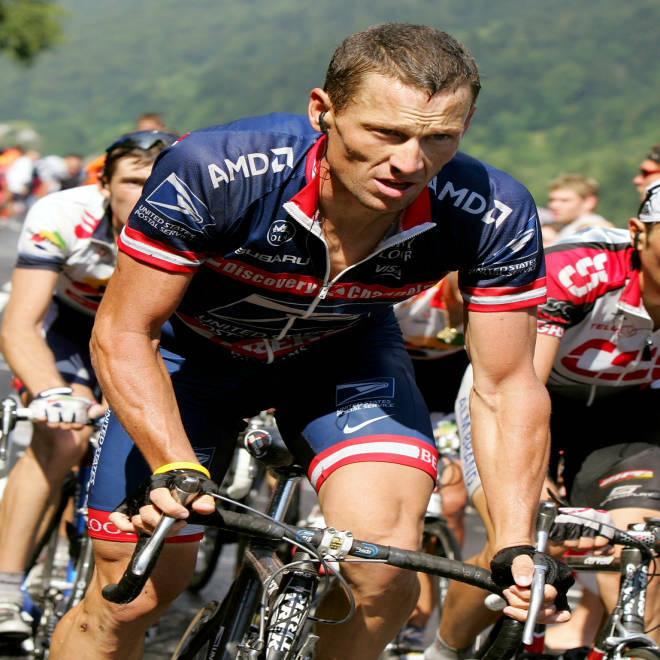 It chronicles instances where Armstrong and other members of the USPS team conspired to administer banned substances in ways that would help avoid detection. Also named as defendants were former team Armstrong team director Johan Bruyneel and team management company Tailwind Sports. The government must make the case that the Postal Service was not only defrauded, but also somehow damaged.